Enchanted Land has ", Pay 1 life: Draw a card"
Hey, CaptainBanana42 has the right idea, you can use Night's Whisper , Sign in Blood and Read the Bones help to smooth your draws. Phyrexian Arena or Underworld Connections are also very helpful. 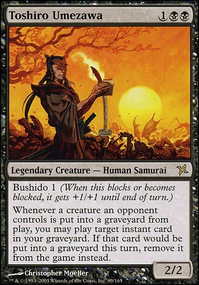 Land Tax , Tithe or Gift of Estates can be good to make sure you have multiple turns of land drops especially since you're playing Godless Shrine . Another approach to consider is add more cards that can find Skullclamp because it's a draw engine: Enlightened Tutor , Open the Armory , Stoneforge Mystic . Enlightened could also get Necropotence another draw engine. Tutoring in the early game for Ascension, Smothering or Bitterblossom is also very good. Armory or Mystic could also get Deathmantle or Greaves. High Market : sac outlet. It's helpful to be able to search for a sac outlet with Expedition Map. Can cut Forsaken Sanctuary , Memorial to Glory , Sejiri Steppe and Scoured Barrens . White gets draw from some incidental spells like Wall of Omens , from specific requirements, like Aura/Enchantment, Equipment/Artifacts, Sram, Senior Edificer , Puresteel Paladin , Mesa Enchantress , Kor Spiritdancer , Dawn of Hope , but also has just plain hate, like Spirit of the Labyrinth and Alms Collector . Blue obviously has just plain card draw. Black pays life for cards Underworld Connections , Blood Scrivener , Necropotence , Phyrexian Arena , Sign in Blood , Live Fast , Read the Bones , or Cruel Bargain . You can also Sacrifice Creatures for Cards. Red gets cards for limited time, Experimental Frenzy , or it comes with Discard Wheel of Fortune Faithless Looting , or Burning Inquiry . Green is already flush with cards similar to yours, Primordial Sage , Soul of the Harvest , Selvala, Heart of the Wilds for example. It’s been a while since I’ve done this so forgive me if I mess up the formatting or something. The first (and probably most important) thing I’d recommend is more consistent card draw. Necropotence is good, although the triple black can sometimes be tough to get, but aside from that all you’ve got is Underworld Connections and a few Read the Bones -esque cards. Personally I prefer Phyrexian Arena over UC because it’s basically the same thing except you essentially have to pay 1 mana for UC, although it also gives you the option of timing. Up to you. Anyway, in my experience RtB type single use effects, while good, aren’t quite enough. Twilight Prophet is a strong one that fits perfectly; he’s actually a Vampire and his trigger would set off your Sanguine Bond / Exquisite Blood combo. I also run Greed as a great mana sink for any excess mana. A pseudo-card draw type effect you might want is Herald's Horn . 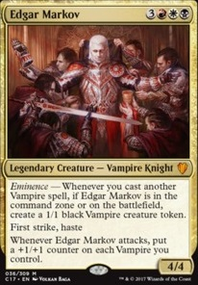 It is very good here; it makes vampires cheaper and it can get you more card draw; both good things. I also would recommend you look into replacing Door of Destinies . Sure it can really do work in the right circumstance, but if you draw it late it does essentially nothing. Shared Animosity could be a good replacement. I could go on and on about ideas for upgrades for your deck but personally I enjoy doing that myself, so I’ll stop here. This has been plenty long enough. I’ll leave a link to my deck so you can check it out if you’re interested; I took mine down a more aggro/token route rather than the SB/EB combo but still you may find something helpful there. 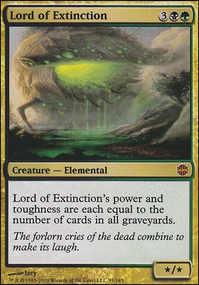 Consider some exile effects in place of a few of your destroy effects for spot removal to get around indestructible. Return to Dust Utter End Anguished Unmaking Settle the Wreckage por ejemplo. 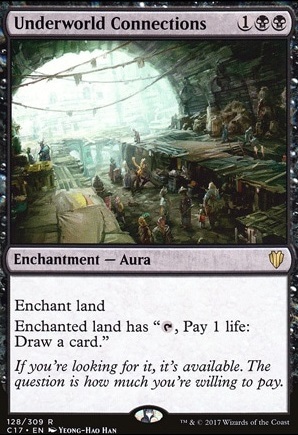 For draw, most draw in black costs you life, like Phyrexian Arena Underworld Connections stuff like that. This looks good, personally I would increase the land count to 24 and switch Sign in Blood to Underworld Connections . Also 1x Whip of Erebos could be good. Debt to the Deathless is an excellent win condition. Keep yourself alive to gather a good amount of mana, then blast everybody with it. And if everyone doesn't die? Combine it with your Aetherflux reservoir and blast those who are left. Also, Pontiff of Blight gives every creature Extort, so a simple cheap spell can be paid extra to make a major life loss and gain impact. I'd definitely recommend cards that can also spend your life- you're going to have a ton of it, why not use it? Underworld Connections makes a land of yours a source of card draw. Vona, Butcher of Magan lets you kill creatures with it. Bloodtracker gets stronger with life payments, and draws you cards if/when he dies. Final Payment can go the aristocrat route by having you sacrifice a creature, but in this case, why not pay that measly 5 life? Aetherflux is a nice win condition, but want to make sure no one who survives it can take advantage of you paying 50 life with any flying creatures, skulkers, or otherwise evasive cards? Use Font of Agonies . You get fifty blood counters with one payment, and can kill off up to 12 creatures with its effects. Also, its mana expensive but Treasury Thrull can get you creatures and enchantments back. I'd recommend more of the dual lands to. Commander is often more casual, so any of the ones that come in tapped are just fine. I hope you do well and have fun your first game! 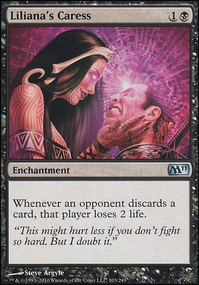 Black/White is my favorite color combination, though I prefer the aristocrats route, so it makes me excited to see new players choose it for their first deck.